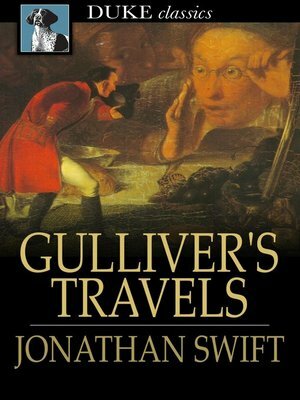 Gulliver's Travels by Jonathan Swift is a witty and insightful satirical novel recounts the history of Lemuel Gulliver, "First a Surgeon, and then a Captain of several Ships". In his travels Gulliver visits the Land of Lilliput, where he towers over the local inhabitants, the land of Brobdingnag where he is much smaller than the citizens, the floating island of Laputa, infested with fanatical scientists who in their obsession with reason behave with no sense at all and finally to the land of the brutish Yahoos who look to all intents and purposes like humans and are derided by the intelligent horse people. John Gay said in a 1726 letter to Swift that "it is universally read, from the cabinet council to the nursery"